Based on information presented at the most recent Network of Business Advocates and Entrepreneurs (NEBA) forum on transportation issues, it appears the local recruitment efforts of Jet Blue could not overcome obstacles Tallahassee has no control over – geography and economics. 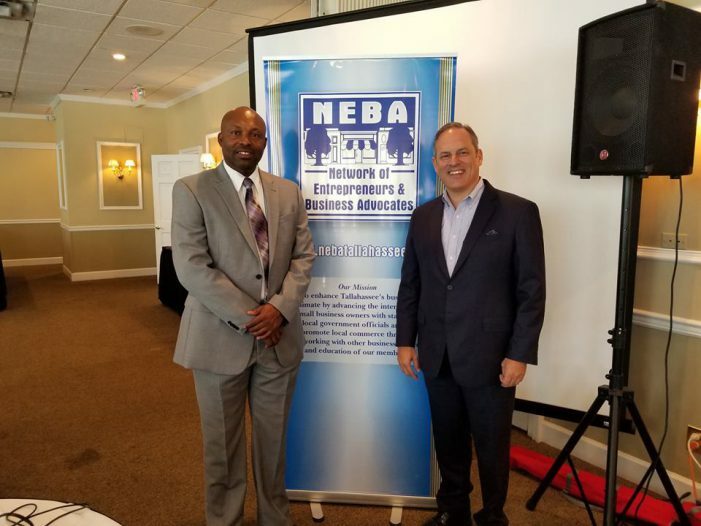 NEBA held a forum addressing the current and future status of air and rail transportation in Tallahassee which featured Aviation Director Chris Curry and City Commissioner Scott Maddox. Maddox, who has a long history of trying to improve air service in Tallahassee, spoke first and addressed both air and rail transportation issues. The two issues air travelers have consistently complained about are ticket prices and flight availability. Reports show that approximately 30% of residents in the Tallahassee area choose to fly out of other cities, such as Atlanta and Orlando, because of price and non-stop flights. Maddox could offer no concrete solutions, and with a hint of resignation, he explained why the current situation is probably not going to change in the near future. Maddox said, “we are 4 1/2 hours from a major hub. We are a fly over designation.” He said this geographic reality does not appeal to air carriers. Mr. Curry, explaining why Jet Blue will not commit to serving Tallahassee, said the economic model of air carriers is focused on filling larger planes. This approach, driven by factors which include a shortage of pilots, puts Tallahassee down the list when desirable carriers are looking for new markets. When Mr. Curry was asked about the reason for the airport’s international designation, he spoke about future trade opportunities with Central America due to the overcrowding at south Florida airports. He also explained how the international designation, coupled with Tallahassee’s ability to obtain a “foreign trade zone” designation from the US Department of Commerce, could help recruit foreign businesses. Mr. Curry also discussed the $62 million in airport improvements to the runways and the terminal and said the renovations to the security check in process will soon be competed. Mr, Curry said the current carriers are solid and, despite certain challenges, the economic activity through the airport contributed approximately $453 million to the local economy in 2016. Commissioner Maddox also talked about the possibilities of the return of Amtrak service to north Florida. The service was interrupted during Hurricane Katrina in 2005 and now a number of groups are supporting its return. Maddox said a test run from Jacksonville to New Orleans was popular. Maddox said there is a Gulf Coast Working Group which will report to Congress next month on reopening the section of the Sunset Limited Trail which runs from Tallahassee to New Orleans. However the current Administration’s budget does not include any money for rail anywhere in the country, so he suggested people that support rail to call their members of Congress. Maddox said the the operational costs of the service is approximately $5.4 million per year, however he also talked about some of the benefits of Amtrak. He said the service would help reduce I-10 congestion, improved labor markets, and the appeal to young people. Maddox was encouraged by the physical condition of Tallahassee’s train station and also by the growth in the Gaines Street area which will help transition the transportation option with Tallahassee’s urban area. 15 Responses to "Tallahassee’s Jet Blue Recruitment Stalls"
This shouldn’t be news to anyone. Geography in proximity to other major airports will always keep our airport small. I don’t know why city officials falsely portray otherwise. The “international” designation is a fraud. It doesn’t do anything for us. Further the city’s comments about major hubs being 4 1/2 hours away is also misleading. JAX is just 2 1/2 hours away. Hey City – remember JAX? Very close and tons of inexpensive flights. I’ve never flown out of Tallahassee and I never will. The prices are beyond ridiculous. Amen. The comments by Scott Maddox are as close as I’ve seen to an admission that the airport is and will remain a nothing burger. With Jacksonville so close, no airline will ever make Tallahassee a regular stop without huge subsidies. 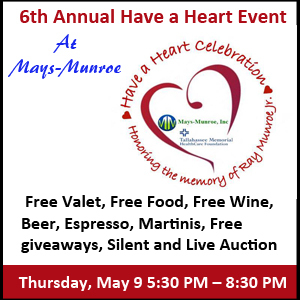 City scammers – I mean city officials – should accept this place for what it is: a small town that will always be a small town. Stop wasting $$$ on tourist councils, on promotion, on trying to find a “brand.” People come here for the government and for the schools and that’s it and the government and the schools do all the ads we need. Just cut it out. Stop pretending, stop lying stop wasting money. We’re a small town. It’s okay. While JAX is a much bigger airport than TLH it isn’t a hub for any major airline so technically the statement is true. The international designation is for cargo not passengers. Some other small international airports in the state include: Pensacola, Panama City, Ocala (has no commercial service) & Daytona none of which have regularly scheduled commercial international flights just like TLH. Panama City and Fort Walton offer better options and their in the same region? I have an international client looking to open a US base of operations but they want an actual international flight to where they are located, not an international designation with one mainline airline serving that nigjtmare that is ATL,and American Eagle regional jet service. Who ever thought spending money on a name change will result in attracting business must be delusional! I thought I’d read the reason for the international designation was so TLH could advance business in international freight? Meanwhile, I’m flying to Chicago this week from Panama City on Two-Bags-Free Southwest. At less than half what TLH wanted to charge me. I started looking for flights to Dallas about 60 days out… TLH was $440, other FL cities weren’t much better. ATL was $230. Deal… I can sleep on the couch and pocket the savings. Great, so can we stop wasting time and money on these pipe dreams? If liberals want big city things, move to one. As we move forward toward spending millions of our penny sales tax thru Blueprint for economic development, I think I would like to see some effort to attract Southwest. Giving companies incentives to relocate 50 or 100 jobs to Tallahassee just doesn’t seem to be a wise way to spend our Blueprint money. But getting more flights and cheaper tickets would benefit all of us as well as help to attract companies. Ever since Bush, Crist, and Scott cut state jobs and restricted state travel, our air service into and out of TLH has been substandard, especially for the capital of the third largest state. Good, that makes its harder for the politicians to get to work. JetBlue doesn’t project filling its 100-seat planes between Tallahassee and Fort Lauderdale. What makes you think Southwest would consider flying its 200-seat planes into Tallahassee? Why would they fair any better? I just don;t know what to say. Maddox is promoting himself and company rather than contributing anything of substance on this issue. This self proclaimed airport authority has no expertise in this area to qualify him as an expert. The city commission needs to reel him in. I’d just rather ride a bus.